This is a great, well-thought-out post by Melbourne writer Jay Kristoff about the characters of Firefly. He mounts a pretty compelling argument that the crew of Serenity – particularly Mal, Zoe and Jayne – are the villains of the piece, rather than the plucky heroes. The post is worth a read, because it’s a great example of the idea “every character thinks they are the hero”. Joss Whedon is the master at creating the sympathetic bad guy. The folks in Dollhouse – except for the dolls themselves – are almost all villains too. Not to mention Doctor Horrible! So. This started as an idle tweet a few days back and devolved into a drunken conversation in which me and a buddy both proved we’ve spent waaaaaaaay too much time watching Firefly. 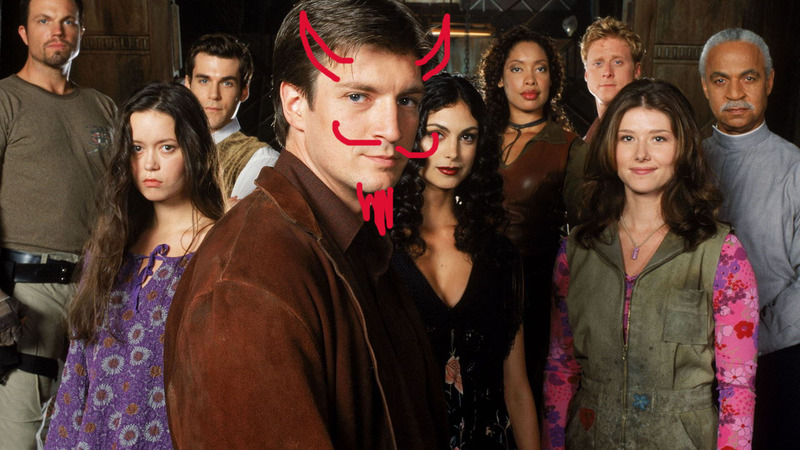 And I’ll preface this waaaaaaay too long blog post by stressing that I lurrrrrrrve the Firefly series and Serenity movie. I love them in the pants. Were I unwed, I would take my Collector’s Edition Boxed Set in a manly fashion.